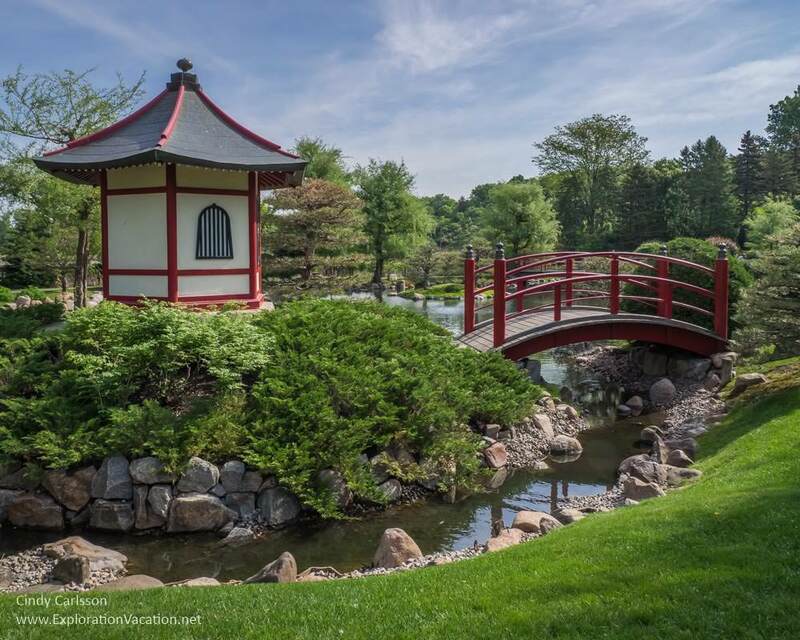 Just south of Minneapolis, a serene Japanese garden is nearly hidden alongside Normandale Community College. 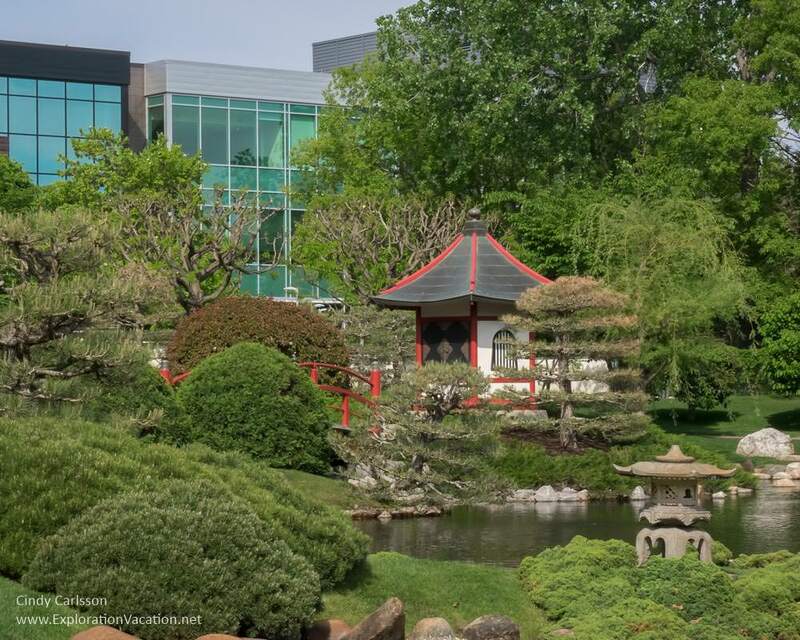 I’m guessing most people in the Minneapolis-Saint Paul metro area don’t even know there is a Japanese garden tucked into the campus of Normandale Community College in Bloomington. It’s a quiet, seemingly out-of-the-way spot, despite being on a college campus just moments from several major highways. But it’s a spot worth discovering. 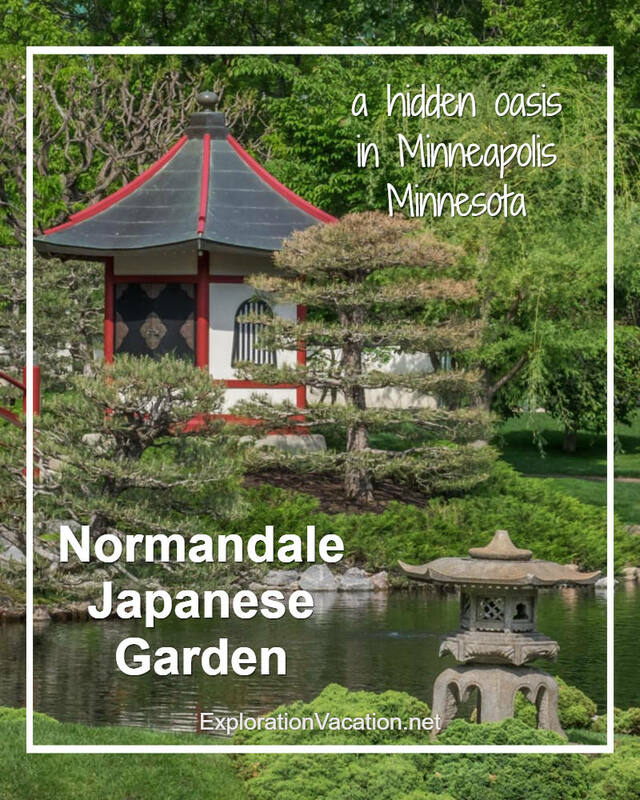 I don’t remember how I first became aware of Normandale’s Japanese garden – whether I found it on my own or was told about it by my wedding photographer. Unlike the average Scandinavian-American bride from Minnesota, I wore a Japanese wedding kimono when I got married a little over 25 years ago. And, in keeping with the Japanese theme, we shot a number of wedding portraits at the Normandale Japanese garden. But Normandale’s Japanese garden is at the opposite end of the metro area from where we live. While I’ve often thought of making a return visit, it took a couple of decades to actually make that happen. 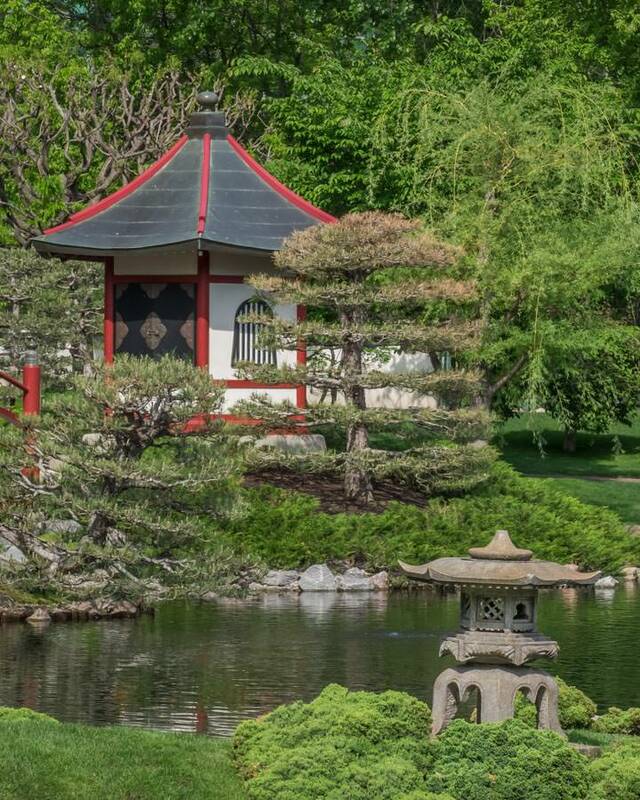 After more than 25 years, it is more than time to revisit Normandale’s Japanese garden. It takes a bit to actually find the garden. 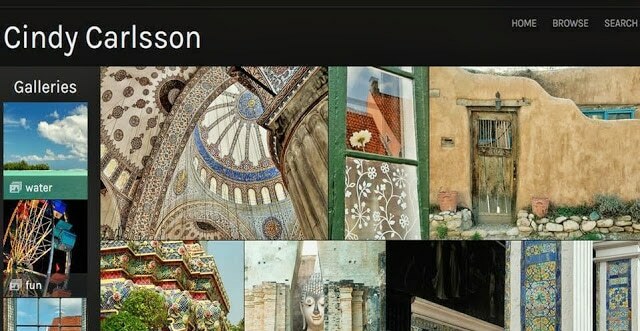 Ms Google knows where it is, but seems less sure about how to get there. Fortunately there are a few signs and we finally find our way back behind the college to the entry gate that provides access to the garden itself. At two acres in size, and with plenty of open space, the Normandale Japanese garden feels expansive. The side with the entry gate is is also the highest point in the garden. A path winding through the carefully landscaped hillside provides sweeping views over the garden to the neighboring wetland and urban development beyond. While it’s unusual for a traditional Japanese garden to allow views beyond the garden itself, I like the contrast. These long vistas also make the garden seem very large. 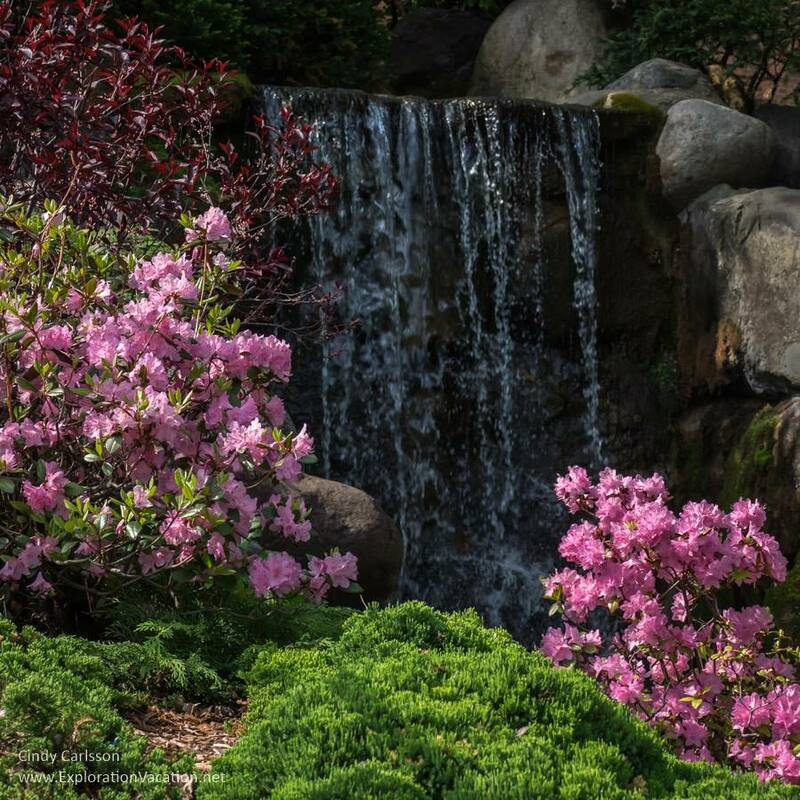 The waterfall in Normandale Japanese garden is set high in the hill near – but not visible from – the entry gate. It’s part of the garden’s soundscape and a constant reminder of the passing of time. But it’s also a lovely visual feature – especially in spring when the azaleas are in bloom. Normandale’s garden is built around a large lagoon with three islands. The garden’s carefully manicured lagoon presents a stark contrast to the natural wetland around Heron Pond just beyond the garden fence. But when wandering the paths along the lagoon or crossing one of its bridges, the lagoon becomes part of a landscape that mimics a much larger natural world. It also offers plenty of places to stop for a bit of quiet contemplation . . . or to feed the garden’s koi, a few of which are retired fish show champions! Japanese gardens are, by design, quiet spaces with a generally subdued color palette. But that doesn’t mean there aren’t any bright colors in Normandale’s Japanese garden. Spring and summer bring cherry and apple blossoms, irises, azaleas, hydrangeas and more. In fall, splashes of color come from the changing leaves on the deciduous trees and shrubs planted amid the evergreens. However, throughout the year, the garden features a splash of red from the painted bridges and small Bentendo. The Bentendo, a hexagonal building on the largest of the lagoon’s islands, is purely decorative. And, like a Christmas ornament in the garden, it draws the eye with its bright splash of red and white paint. Perhaps it also brings good luck, as Benten is a goddess of fortune. Surely good fortune must await visitors to this lovely garden! How did this Japanese garden come to be? While built on land donated by Normandale Community College, the Japanese garden was actually a project developed and carried out by the Bloomington Affiliated Garden Clubs. Planning and fundraising for the garden began in the 1960s, with construction completed in 1976. The garden design was created by Takao Watanabe, a landscape architect for the Tokyo Metropolitan Government. He not only designed the garden and all its features, but came to Minnesota to oversee construction. Plants used in the garden are all hardy in Minnesota and are most are not what would be found in a similar garden in Japan. However, they were chosen to mimic the look of more traditional plants and, like all plants in Japanese gardens, are carefully shaped and pruned to conform to traditional ideals. Today the garden is owned by Normandale Community College. It is managed jointly by the college and the Japanese Garden Committee. The Japanese garden at Normandale Community College is open to the public throughout the year. Normandale’s Japanese garden is located between the college buildings and a wetland just west of France Avenue in Bloomington, Minnesota. See the diagram on the college website for a good overview of the location and access. Despite what the map shows, there doesn’t seem to be direct public access off of France Avenue right now. Instead, access the garden from behind the campus. From the south take West 98th Street and Collegeview Road around the back of the campus. From the north turn off France Avenue on a small road directly north of the wetland and follow that past the wetland and south to the campus. There are signs that direct traffic to parking near the garden, so follow those when Google gets confused. Once you get to the parking area, follow the marked walkway behind the campus buildings to the garden entrance. Garden is currently open 24 hours a day unless closed for a private event. However, there seem to be plans to change that in the future and close the garden at night. To be sure it will be open when you plan to visit, check the Japanese garden website. The best time of day to visit is probably early morning, which offers beautiful light and the chance that there might be a bit of fog over the water. For a fee, the garden can be reserved for photography sessions like my wedding portraits. It can also be reserved for special weddings and other events. During those times the garden is closed to the general public. There is also more detailed information available as you enter the garden. What a beautiful place to take wedding photos! I love your kimono too! That sounds gorgeous too! I love nontraditional wedding dresses! I thought you might like a different sort of dress. I wish I had a good jpg of the party dress – it’s a 1930s classic that might make you swoon!